Although the term "aikido" was first adopted in 1942, the growth of the art did not pick up momentum in Japan until the late 1950s. Not surprisingly, the devastating effects of World War II created a set of adverse circumstances that limited the art's early development. Together with the economic and physical debilitation of Japan, there existed a strong negative bias toward anything connected with the prewar militaristic apparatus and mentality. As such, the martial arts that had been held in high esteem and which were an institutionalized part of the education system, fell into disrepute. Since only a relatively small percentage of aikido practitioners have more than a vague acquaintance with the origins of the art, there are a number of common misconceptions about how aikido attained its current status as one of Japan's modern budo. The most glaring misunderstanding is the idea that the founder, Morihei Ueshiba, was the driving force behind the postwar spread of aikido. This is far from true. Rather, his role can more accurately be described as inspirational in terms of his impact on early practitioners. In reality, it is the technical and pedagogicial approaches of other key figures such as Koichi Tohei and Kisshomaru Ueshiba --the founder's son-- within the Aikikai, and Gozo Shioda of Yoshinkan Aikido (an early student of aikido), that became the de facto standards. Even today, the training methods adopted by the majority of aikido organizations and independent schools can be traced back to these figures. In this article I will attempt to describe the first challenging years of aikido in postwar Japan, the principal figures whose thinking and actions shaped the early development of the art, and the confluence of circumstances that allowed aikido to gain momentum in Japan and flourish internationally. It is generally known that the Supreme Commander Allied Powers (SCAP) banned the practice of martial arts in 1945. Actually, this ban was directed primarily at educational institutions and also included the dissolution of the Dai Nippon Butokukai, the umbrella organization for martial arts that oversaw the practice of martial arts in wartime Japan. There was some confusion over what specifically was banned and what was permitted. However, the net effect was that few practiced the martial arts openly for fear of reprisal by the occupying forces. Besides, given the general economic plight, martial arts training was a luxury that few could afford. In light of the above, conditions in the old Wakamatsu-cho dojo of Morihei Ueshiba after the war were not at all conducive to the practice of aikido. The dojo--formerly known as the Kobukan in the prewar years--was one of the few buildings left standing in this bombed-out neighborhood of Shinjuku ward, a densely populated district of Tokyo. The dojo itself was in a state of disrepair. Only part of the dojo had tatami mats and they were badly worn. Beginners had to train on the wooden floor. Several displaced families were sharing a section of the dojo and the smells of cooking often permeated the dojo. At one point, dances were even held in the dojo with the tokonoma serving as the bandstand. It was primarily students of Waseda and Takushoku Universities--alma maters of Kisshomaru and Gozo Shioda, respectively--that tended the premises in the absence of Kisshomaru who was in charge of the dojo. There was no regular training schedule and sometimes no one would show up to practice. Morihei Ueshiba O-Sensei, for his part, had been living in Iwama (a small country village in farming country north-east of Tokyo) since 1942 with his wife Hatsu while engaged in farming, meditation, and instructing a few local students. He seldom ventured down to Tokyo and was not involved in teaching or the operation of the Hombu Dojo. Administratively speaking, the headquarters had been relocated to Iwama from Tokyo. In fact, the Zaidan Hojin Aikikai was incorporated in Mito, Ibaragi Prefecture in 1948. Having official recognition was an important first step to later being able to offer aikido training to the general public. The headquarters remained in Iwama until about 1955 when Kisshomaru finally was able to stop working to devote full time to the dojo. The role of the Second Doshu (hereditary grand master), Kisshomaru Ueshiba, as the focal point of the growth of postwar aikido is poorly understood. This is due in large part to the fact that Kisshomaru's personality and aikido technique were rather reserved compared to charismatic figures such as the founder, Koichi Tohei, and Gozo Shioda. Kisshomaru assumed leadership of the Kobukan Dojo in 1942 while still a student at Waseda University. The founder (his father) had retired to Iwama this same year at a time when operation of the dojo became very difficult due to the negative progression of the war and, especially, the fire bombing of Tokyo. After spending the first years following the war in Iwama with his parents, Kisshomaru took a position with Osaka Shoji, a securities firm, in Tokyo in 1949. That same year he began conducting a limited training schedule at the Hombu Dojo although attendance was sparse. It was also around this time that the prohibition against the practice of martial arts was lifted by the Occupation Forces. A quiet, soft-spoken man, Kisshomaru was assisted by a coterie of advisors, most of whom had been associated with the Ueshibas since before the war. Morihei Ueshiba had gathered around him a group of individuals from military, political, business, and intellectual circles that facilitated his success as a professional martial arts instructor early in his career. Among these patrons and supporters who continued to assist Kisshomaru after the war were names such as Kin'ya Fujita and Kenji Tomita, originally members of the board of directors of the Kobukai Foundation. In addition there were were Seiichi Seko, Kisaburo Osawa and Shigenobu Okumura, the latter two senior practitioners who began practice during the war. Most of the top students of Morihei Ueshiba from the prewar era had entered the military by the late 1930s thus cutting short their training careers. After the war, only a few resumed training while others maintained a social connection with the Ueshiba family. Some of the prewar students who did filter back to the Hombu Dojo were Kenji Tomiki, Gozo Shioda, Koichi Tohei, and Osawa and Okumura mentioned above. These senior students were joined by a number of young men who took up practice in the late 1940s and early 1950s. The list includes such well-known names as Morihiro Saito, Sadateru Arikawa, Hiroshi Tada, Seigo Yamaguchi, Shoji Nishio, and Nobuyoshi Tamura. Many will be surprised to learn that names normally associated with Gozo Shioda and Yoshinkan Aikido such as Kiyoyuki Terada, Shigeho Tanaka, and Tadataka Matsuo also joined the Aikikai around this time. This was before the separation of the Yoshinkan from the Aikikai. Koichi Tohei: "Giri no onisan, big brother-in-law"
This would be an apropos moment to mention the role of Koichi Tohei in the early spread of aikido. It is a delicate task to discuss his contributions within the context of the Aikikai organization. Tohei's departure from the Aikikai under unpleasant circumstances in 1974 has resulted in his dominant role becoming minimized in the subsequent publications of the Aikikai. For his part, Tohei has downplayed the influence of Morihei Ueshiba in his formative years and portrayed his involvement in the Aikikai in a negative light in his later publications and interviews. The eventual outcome of Kisshomaru and Tohei going their separate ways was certainly not what was envisioned starting in the late 1940s when their relationship was extremely close based on their mutual love for aikido and the blood tie between the two as a consequence of their marriage to sisters. After an unsuccessful attempt at a business venture in his native Tochigi Prefecture, Tohei made his first trip to Hawaii in 1953 at the invitation of the Hawaii Nishi Kai and remained for one year. Already an 8th dan at the tender age of 32, Tohei established his reputation as a top-level martial artist and made a name for aikido that reverberated back to Japan. The Hombu Dojo was in a state of disrepair in the early 1950s and Tohei sent back money from Hawaii to make much needed repairs and acquire new tatami mats. After his initial visit, Tohei made regular, extended trips to Hawaii and later the continental United States where he strengthened his reputation as aikido's top teacher. Tohei's success brought him fame not only internationally, but also gave him a special standing within the Aikikai. 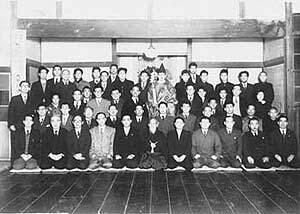 Many of the young uchi deshi (a live-in student and direct discple) and regular students attended Tohei's classes, and followed his example by practicing misogi (ritual purification) breathing at the Ichikukai and joining the Tempukai, a self-development association, created by Tempu Nakamura. 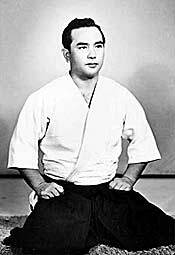 Tohei was made Shihan Bucho (Head of the Instructors' Staff) at the Hombu Dojo in 1956 and his teaching methodology influenced several of the junior level instructors in particular. Certain of the more senior instructors eschewed Tohei's methods and continued to teach in their own manner. This would eventually become a point of contention. At this point in time, Kisshomaru and Tohei were still on good terms. Bonded together by marriage, it seemed as though the future of aikido was assured with Kisshomaru as "Doshu" functioning as the titular and administrative head of the Aikikai, and Tohei overseeing the instruction and development of the art. Many who have been brought up within the Aikikai system consider Yoshinkan Aikido as a "poorer cousin" because of its lesser status in numerical terms compared with the Aikikai organization. What is overlooked is the fact that it was Gozo Shioda and his close associates who took the lead in reviving aikido after the war. 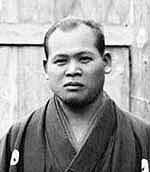 Shioda was one of the founder's early students who enrolled at the Kobukan Dojo in 1932. He spent eight years studying prewar "aiki budo" before becoming involved in the war in a civilian capacity while spending most of these years in Southeast Asia and China. In the fall of 1946, a few months after his discharge from the imperial army, Shioda spent several weeks of intensive training and farming at the home of Ueshiba in Iwama. Still a young man and with his teacher in retirement, Shioda then returned to Tokyo and like most others struggled to make ends meet in poverty-stricken Japan. In 1950, as fate would have it, Shioda was asked to guard the Tsurumi facility of the Nihon Kokan steel company in the wake of the "Red Purge." This refers to an anti-Communist movement led by General MacArthur to stifle the influence of the powerful Japanese trade unions in which about 11,000 union activists in government and industry were dismissed. Shioda gathered together some 55 of the strongest members of the kendo, judo and sumo clubs of his alma mater, Takushoku University, to serve as a security force. This led to him being asked to teach aikido on a regular basis at various plant locations starting in 1952. Shioda also gave demonstrations at numerous police departments in the early 1950s. In 1954, Shioda participated in a large aikido demonstration held in Tokyo sponsored by the Life Extension Association that was attended by some 15,000 persons. Morihei Ueshiba was scheduled to appear in this demonstration, but was unable to attend due to illness and instead Koichi Tohei represented the Aikikai. Shioda's performance received a favorable reception from the huge audience and little by little the nascent Yoshinkan group began to achieve prominence. Also, around this time, Shioda's activities became known to various members of the business world. In particular, a certain Shoshiro Kudo who headed the Tomin Bank came to the aid of the Yoshinkan and backed the construction of a dojo. The Tsukudo Hachiman facility was opened to the general public in 1955. It is quite revealing to look at group photos from the early to mid-1950s and see faces associated with other aikido organizations appearing alongside Aikikai instructors. For example, Shioda, and such senior Yoshinkan students as Terada, Tanaka, and Matsuo mentioned above can be seen together with Kisshomaru, Tohei, Saito, Arikawa, Tada, Yamaguchi, Nishio et al from these years. Since the Yoshinkan Aikido organization did not come into being until 1955, prior to this time active practitioners of aikido formed a loose brotherhood where virtually no organizational distinction existed. As circumstances would have it, Shioda was able to build his core group and achieve financial backing at a time when the Aikikai was taking its first tentative steps. After the establishment of the Yoshinkan, the Aikikai remained very conscious of its progress. In fact, it could be said that somewhat of a "friendly rivalry" existed. As an example, the Aikikai even adopted the practice of accelerating dan promotions in an effort to match the ranking levels of Shioda's instructors. In fact, in this age of "dan inflation" several well-known Aikikai instructors skipped dan rankings in order to achieve a par with the Yoshinkan. By this method, high-ranking instructors could be produced on short order to make it easier to spread the art. Morihiro Saito Sensei once told me that he skipped two dan ranking levels during the 1950s. The uchideshi system at the Aikikai that produced many of the famous teachers of modern aikido both in Japan and abroad did not achieve full swing until the late 1950s. Before that, arrangements were very informal and not everyone who stayed in the dojo was there to practice aikido seriously. Those who came and went while sharing a communal life with Kisshomaru and his family were just as likely to be university students attending college or young men seeking work in Tokyo looking for a temporary place to stay. The common bond among them was usually some prior connection of their families with the Ueshibas or someone at the dojo. One standout uchi deshi who enrolled about 1952 was Nobuyoshi Tamura who went on to become a famous aikido instructor in France. Tamura entered the dojo through a connection with Seigo Yamaguchi and lived with the Ueshiba family for more than ten years. He was the most senior of the uchideshi from the 1950s and is still active in Marseille, France. Another early "commuter student" who entered in 1954 was Yasuo Kobayashi. He too went on to become a prominent figure establishing the Kobayashi Dojo network of schools in Japan and abroad. Masamichi Noro became an uchi deshi in 1955 and also went to France at an early age. Today he teaches "Ki no Michi" in Paris. A young French judoka named Andre Nocquet spent the years from 1955-57 as an uchi deshi sharing life with the Ueshiba family at the Aikikai Hombu Dojo. Nocquet was well connected in diplomatic circles and arranged for numerous foreign dignitaries to come to the Aikikai dojo to witness demonstrations. He returned to France and active spread aikido in Europe until his passing in 1989. The roster of so-called "commuter" students of the Aikikai contains a long list of important names several of whom are still active. Keep in mind that the Aikikai was not setup to accommodate many live-in students in the late 1940s through early 1950s given its limited resources and the still small interest in the fledgling art. A partial list in approximate order of seniority includes key figures such as Sadateru Arikawa, Hiroshi Tada, Seigo Yamaguchi, Shoji Nishio, Fukiko Sunadomari? who also lived at times in the dojo--, Yoshio Kuroiwa, Masando Sasaki, Masatake Fujita, and Akira Tohei among others who joined from the late 1940s to about 1957. Morihei Ueshiba had spent some 13 years in voluntary isolation in the town of Iwama in Ibaragi Prefecture. About 1955 when conditions at the Aikikai dojo stabilized, Morihei started dividing his time between Iwama and Tokyo. The founder also began traveling more and more especially, to Osaka and Shingu in Wakayama Prefecture. He was not, however, heavily involved in management and organizational matters at the Aikikai. It certainly can be said that he had a strong impact on the uchi deshi and students of the Hombu Dojo, but he was not the type of person who would follow a set teaching schedule and no one knew from one day to the next when he would appear at the dojo. Two other well-known names outside the Aikikai organization who were associated with Morihei Ueshiba from before World War II are Kenji Tomiki and Minoru Mochizuki. Tomiki was the senior of the two and reestablished connection with the Aikikai following his repatriation to Japan in 1948. Tomiki joined the staff of Waseda University, his alma mater, and taught judo and aikido. He took charge of the Waseda Judo Club starting in 1951 and also continued research on aikido techniques. During the 1950s, Tomiki at times taught classes at the Aikikai and was part of the loose-knit group of senior students of the elder Ueshiba who worked at promoting the art in the early postwar period. His falling out with the Aikikai occurred around 1958 when he introduced a system of competitive aikido at the urging of the administration of Waseda University. Minoru Mochizuki was a talented student of Morihei Ueshiba who began practice in 1930. Although his training days as an uchi deshi under the founder were brief, he maintained an association with the founder until the latter's death in 1969. Mochizuki is known as the first person to teach aikido abroad when he traveled to France in 1951 as a judo instructor. Based in Shizuoka City, Mochizuki kept his ties with the Ueshiba family and would participate in social functions of the Aikikai over the years. As a senior student from the prewar era, Mochizuki would sometimes be consulted by Kisshomaru as his opinion was respected. It should also be mentioned that Noriaki Inoue (born Yoichiro), Morihei Ueshiba's nephew then known as "Hoken," was active in Tokyo teaching at the Tachikawa Air Base just prior to the outbreak of the Korean War. He later taught in Yoyogi Shinmachi. Although not documented, it seems that Inoue was using the name "aiki budo" at this time. His art would later come to be called Shinwa Taido and finally Shin'ei Taido. Inoue remained independent of the Aikikai and had minimal contact over the years until his death in 1994. Although attention is seldom drawn to the fact, the presence of members of the occupation forces who studied aikido in the years after the war was yet another factor in the steady growth of the art. To have members of a foreign conquering army as students learning a Japanese martial art was certainly a confidence builder for the young aikido organizations. The Yoshinkan especially counted a number of American soldiers among its ranks. Several of these including men such as Thomas Makiyama and Eugene Combs were among the early students to spread aikido in the U.S. In September 1956, the Aikikai held a five-day demonstration on the rooftop of the Takashimaya Department Store in Nihonbashi, Tokyo, the first of its kind after the war. Up until that time, demonstrations were limited to lecture presentations given by the Founder or guest performances at formal martial arts exhibitions only when he consented to participate. This is the first time senior Aikikai instructors were allowed to demonstrate alongside the founder. From this time forward, frequent public demonstrations were conducted. Around 1960, regular yearly demonstrations were held first at the Yamano Hall, and then the Hibiya Kokkaido, and later at the Nippon Budokan in Tokyo starting in 1977. From this point onward, the growth of aikido began to steadily accelerate. A major factor in this regard was the publication of the first books on aikido. Part two will pick up the thread from that point forward. This article currently appears on the online site AikidoJournal.com and is posted with permission of is author and founder of the site. Stanley Pranin: (b. 24 July 1945) is a 5th dan in aikido (Aikikai). He is a well known teacher, author and editor on the subject of aikido and founder of the well known and respectedc website AikidoJournal.com. Pranin has an M. A. in Spanish from University of California at Los Angeles i(1968). He is also fluent in Japanese. He began his training in YOSHINKAN AIKIDO under Virgil CRANK in August 1962 in Lomita, California. Later began AIKIKAI HOMBU-style under Isao TAKAHASHI. He was promoted to 1st dan in August 1965, 2nd dan in 1967, 3rd dan in 1973, 4th dan in 1976, and 5th dan in 1983. Taught aikido in various locations in Northern and Southern California from 1965-1977. He is the founder and editor of AIKI NEWS, established 1974. He represented Northern California at inaugural INTERNATIONAL AIKIDO FEDERATION Congress held in Tokyo in 1976. In August 1977 he relocated to Japan in where he published Aiki News and later Aikido Journal, the latter now an online publication. Pranin is Editor of the book “Aikido Masters” and is author of “Encyclopedia of Aikido.” He is also the author of numerous articles, interviews and editorials on aikido, daito-ryu aikijujutsu and related subjects. Currently he operates the Aikido Journal website and is President of Aiki News publishing company in Sagamihara, Japan.